Hey guys, this weekend my goal was to replace my clutch and cam chain. I followed some step by step threads on here and used my KFX400 shop manual. clutch basket bolt - this just spins the main crank, very hard to keep it from moving. What should I do first, and need to do to tighten these bolts? What would be the best course of action to approach this? He shouldn’t be holding a bolt on the other side. He should be using the 27mm wrench on the generator itself. Factory manual page 3-51. The generator goes on first and it is used to hold the crank while everything else is torqued. Last edited by jetmech25; 06-18-2018 at 12:11 PM. 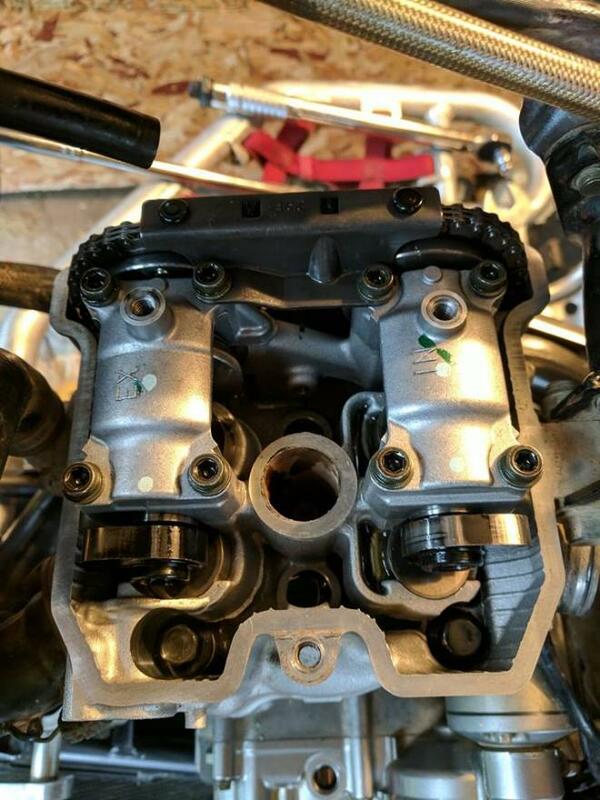 From my research it sounds like I need to get the clutch basket bolt tight first, then put in all the clutch discs, install cams, caps torque them all down. Then work on torquing the primary bolt and then do the generator bolt? The bolt that came loose is like 15 mm and is found under the crank bolt access cover and is the same bolt you turn to get TDC. I am not sure if its the same nut or not. I will have to look at page 3-51 and check that out. I found this image and I think I see what you are talking about. 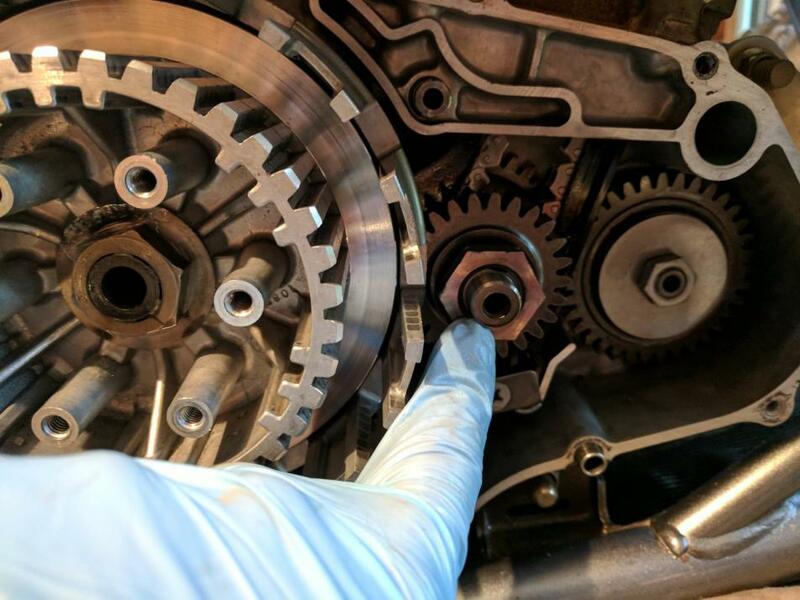 Do you hold the 27mm bolt with a wrench and then torque the crank bolt? I have never removed this cover but it looks like I need to in order to tighten this. Still working on this project, turns out I did't have a 27mm offset wrench so I got one off of Amazon, should get it tomorrow. The primary drive bolt I understand how to tighten that and the TDC bolt and I still have a couple questions. 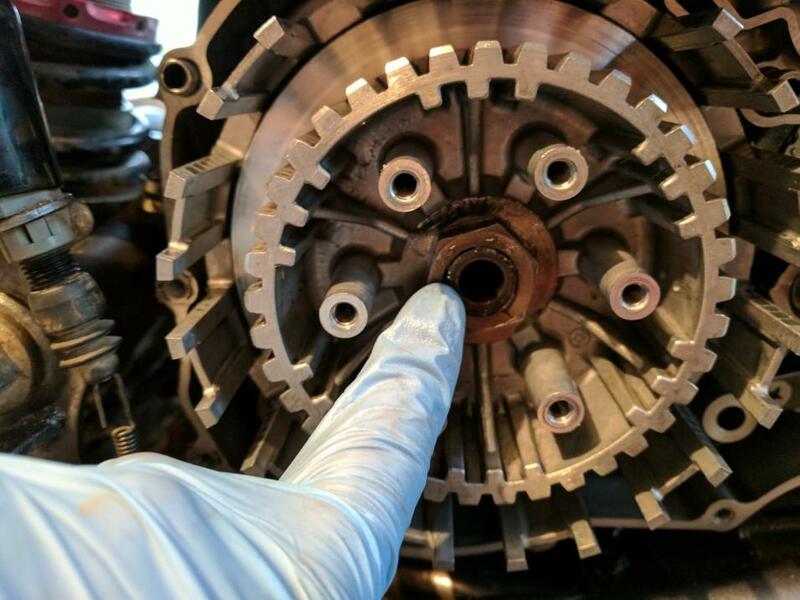 I am working on tightening the 27mm clutch basket bolt and even with the EBC clutch tool it wants to spin the crank and everything else. 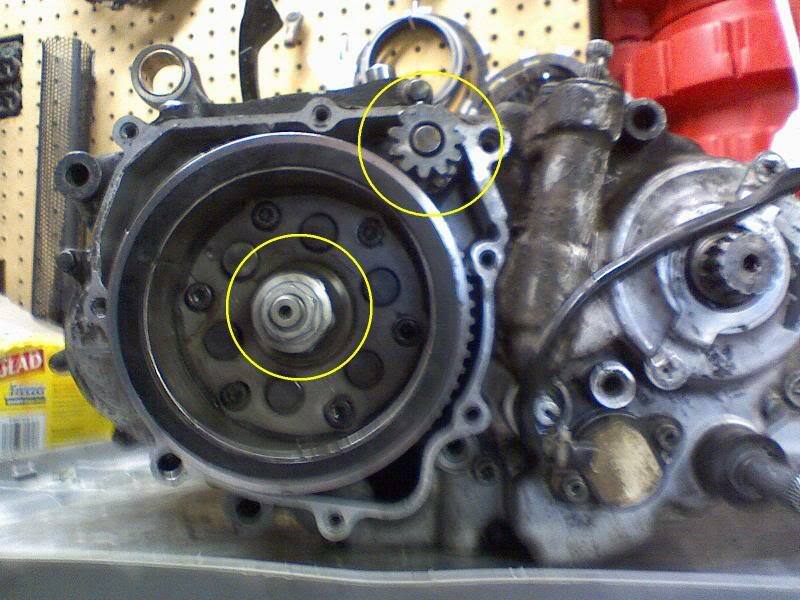 Should u use the 27mm offset wrench to hold the crank bolt on the generator side when I torque the clutch basket bolt? The manual doesn't mention anything about other parts moving when this is torqued. 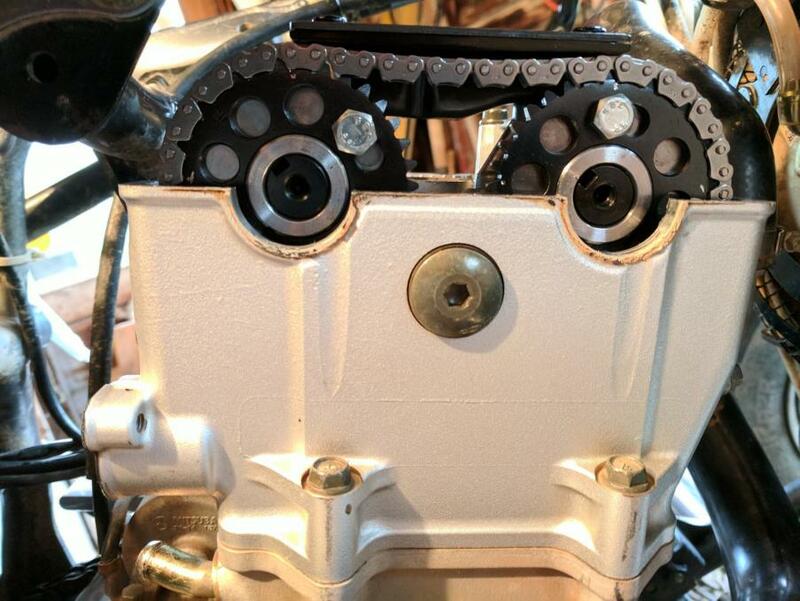 And is it safe to torque the primary drive bolt and clutch basket bolt with cams installed and timing set? LTZ400 and jetmech25 like this. 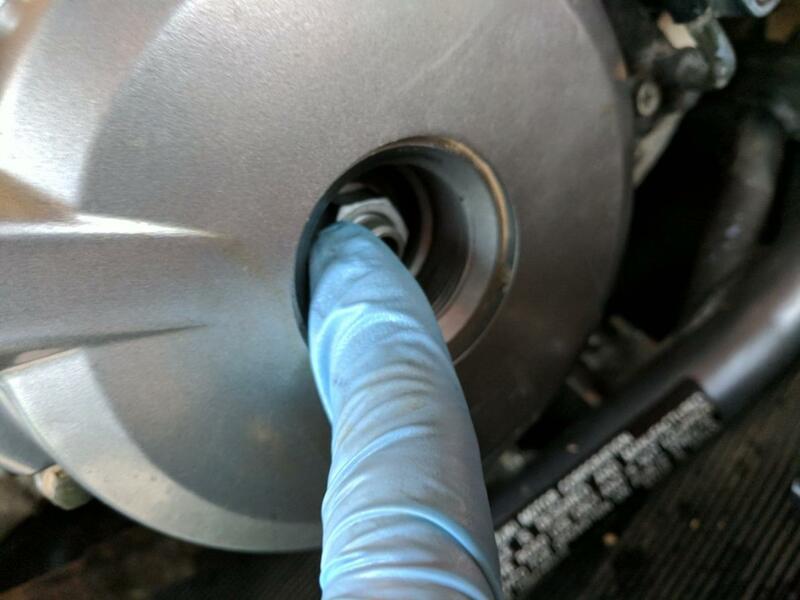 Use a washer or big flat screwdriver as shown to hold it still while torquing both of those. Torque wrenches are nice. You may never get that off.